Everyone enjoying their time in Korea! 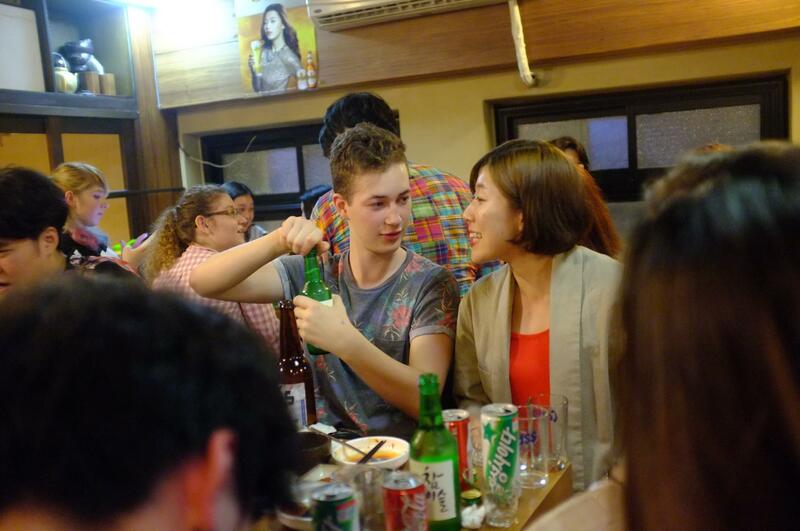 Last Friday students from Lexis Korea got together and had an amazing time at a Korean restaurant in Gangnam! More then 80 students participated, practising both their Korean and English while having a traditonal Korean dish, boiled pork or more commonly known as bossam(보쌈). Everybody was able to make new friends during the night, not only with foreign students who study Korean but also with Korean students who study English as well! 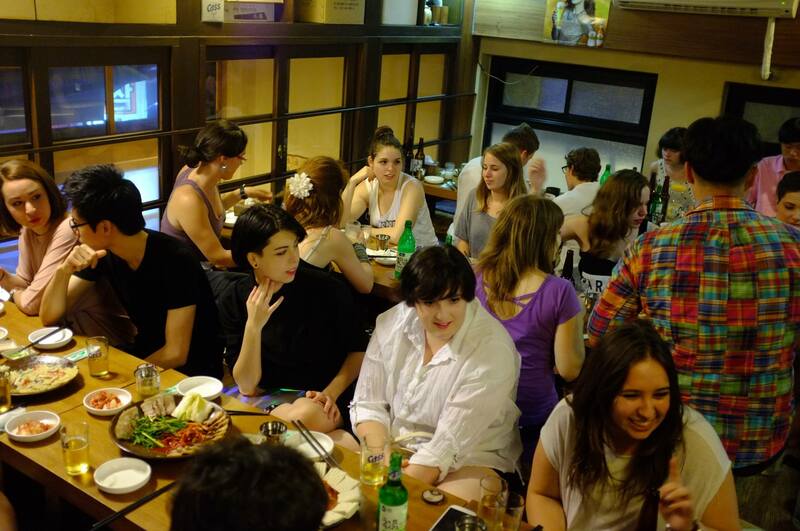 After the great meal students gathered up and went to noraebang(노래방), also known as Korean karaoke. We are going to have our Lexis student night in August and hope to see you there! 지난 주 금요일날 렉시스 코리아의 학생들이 모두 모여 다같이 강남에서 저녁을 먹었습니다! 무려 80명을 넘는 학생들이 참여하여 한국어와 영어를 연습하며 전통적인 한국 음식인 보쌈을 먹었습니다.외국에서 온 한국어를 공부하는 학생들 뿐만 아니라 영어를 공부하는 한국인 학생들도 참여하여 서로 친구가 되었습니다. 저녁을 먹은 뒤에는 학생들이 모여 노래방을 가서 더욱 재미있는 시간을 보냈습니다. 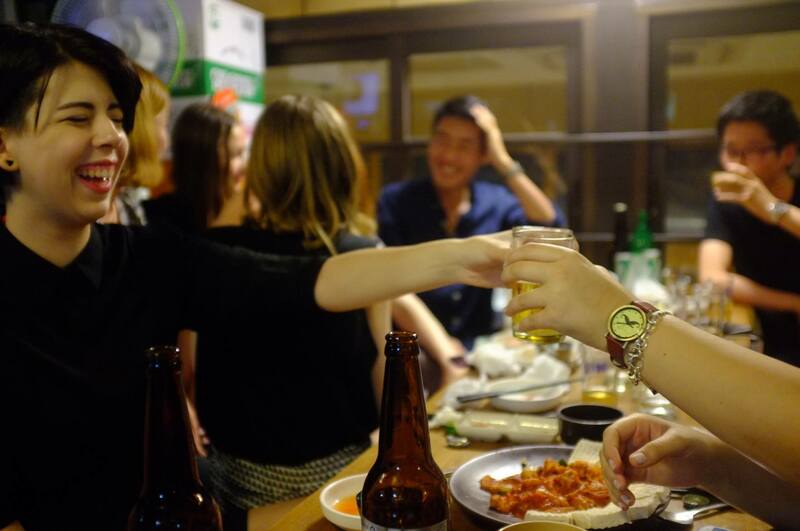 저희는 8월에 다음 student night을 할 예정이며 그때 볼 수 있기를 희망합니다!